It has began. Yep, 2015 heralds the start of the Aurifil Designer BOM and Pat Sloan’s BOM. This year The Aurifil designers are making mini quilts. 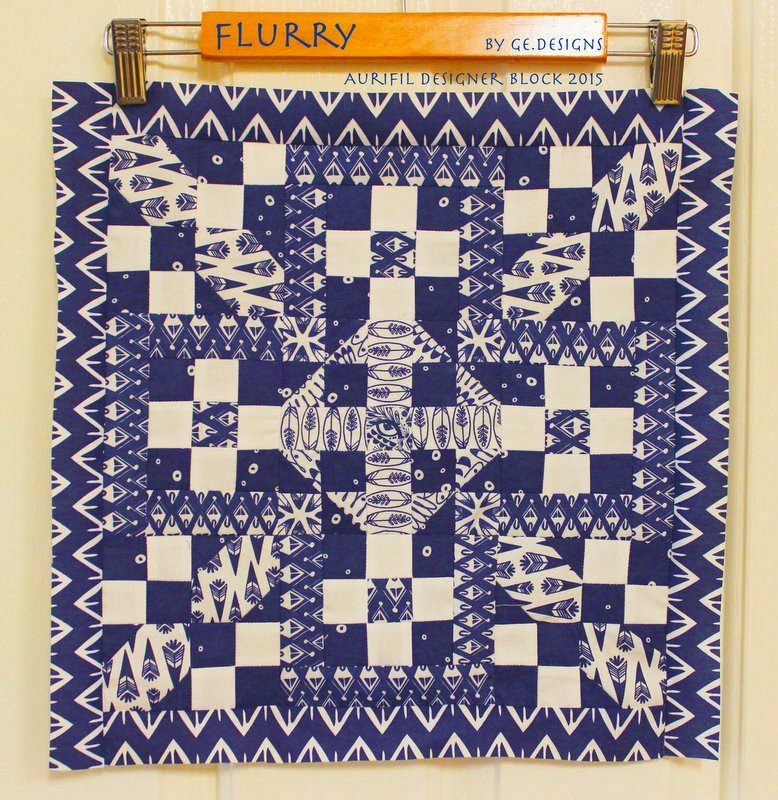 Gundrun’s Flurry block/mini is 15″ x 15″ finished. You can find the block and Pat Sloan’s interview with Gundrun here. Spot the mistake in my Flurry block. I think I will leave it there as a humility block. 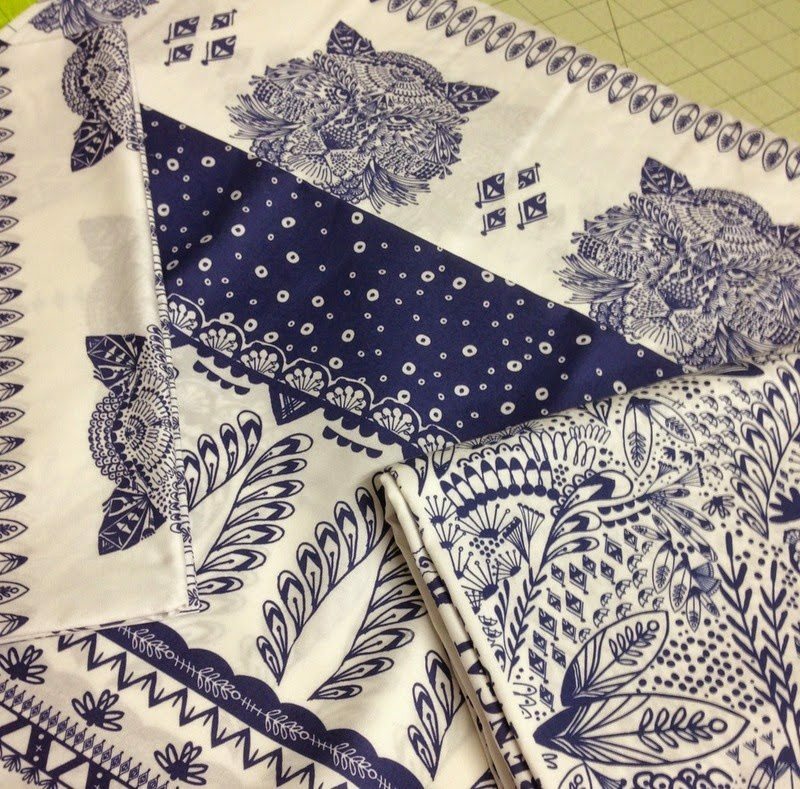 The material used is Hawthorne Threads own design called Bengal. I am in love with the intricate sketches in delft blue and white. My second mystery block for the month is Down By the Boardwalk. A fun block to make and perfect for the fussy cutters. Pat has a great Facebook page where all the information about her BOM and projects can be found. Pat’s page has just reached over 37,000 members. Wow! Keep a look out for everyone’s blocks on social media. There are so many different interpretations in the lay outs and fabric choices. I love that fabric as well. Also, I like how you fussy cut the bits and pieces. I found your "humility" block but honestly I wouldn't have noticed had you not called my attention to it. I think its wonderful as it stands. You'd take it apart for that little boo boo? No way! It's gorgeous! Both blocks are wonderful Jane. You have a knack for selecting fabric and colours! Oops… if you hadn't pointed it out no-one would know and who's to say that isn't the correct way?? Only if you have the pattern next to the quilt no-one would know and a saying in my house growing up was"a blind man would be glad to see it" so leave it. Love love love the fabrics. Love the blue and white! 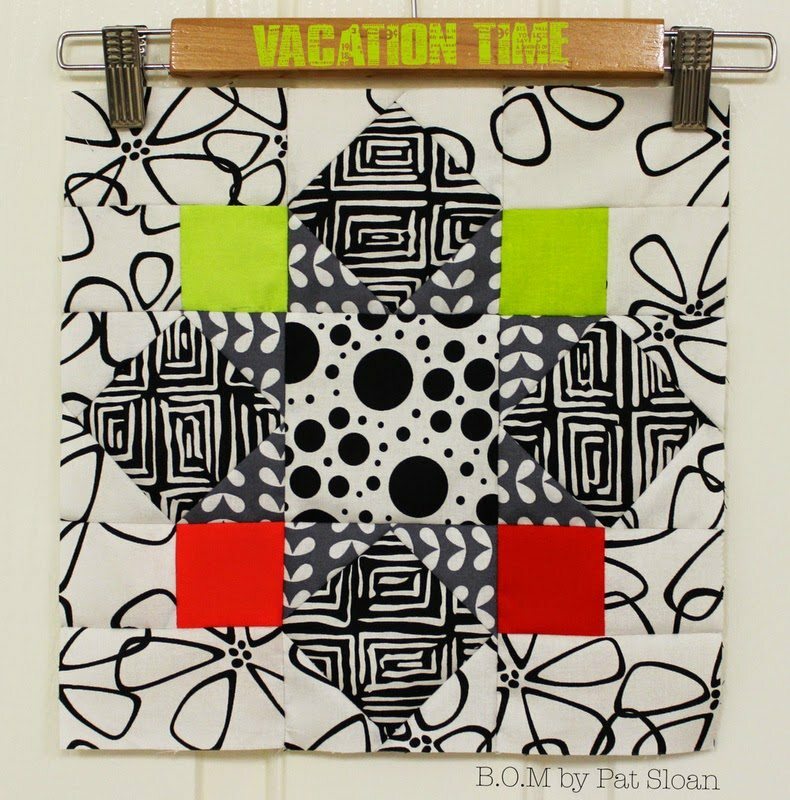 That fabric is beautiful and makes a great mini quilt.